The leaves may be falling, but the city’s most luxurious homes remain in full bloom. From magnificent mansions to fabulous flats, the ornate and the extravagant are vying for attention. 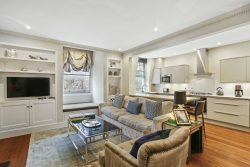 Here, we share some of our most luxurious homes for sale, or to let this autumn. Eaton Square is among the most prestigious addresses in London. 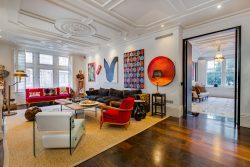 Busier than Belgrave Square, more glamorous than Grosvenor Square, it was named the most expensive place to buy property in 2016. This two-bedroom duplex may therefore strike you as an attractive purchase. The two double bedrooms are on the upper level. Hans Road is named after Sir Hans Sloane, 1st Baronet and society physician around the turn of the 17th century. He was very interested in natural history and amassed a huge collection of items which he bequeathed to the nation. These were to lead to the establishment of the British Museum. 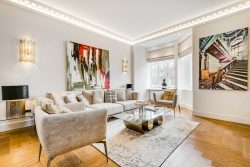 Directly opposite Harrods, this superb three-bedroom lateral flat is perfectly located to allow you to easily amass your own art collection. This little street leads off Belgrave Square and is home to the famed Mosimann’s private dining club. If you prefer to cook yourself, this two-bed (both en-suite) apartment comes with a hand-built kitchen. There’s even a spacious terrace for outdoor dining. But it’s the elegant drawing room that will probably appeal most. 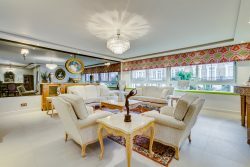 Chesham Place is a street of grand residences leading off Belgrave Square. Now the location of several embassies, it has also been home to a who’s who of aristocrats and MPs over the years. 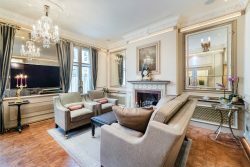 This immaculate first-floor apartment boasts some period features, including an unusual and ornate fireplace. There are two stylish bedrooms and the elegant reception room faces west. Pioneering architects Foster + Partners believed in this live/work space so much that they have their offices in the building and Norman Foster originally lived in the penthouse. 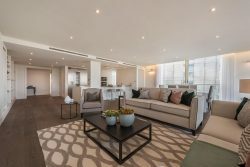 With stunning views over the Thames, this three-bedroom apartment would not need to try too hard inside. 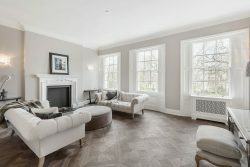 The large, open-plan reception room has wide wooden floorboards and the kitchen has state-of-the-art appliances. In addition, the building has a 24-hour concierge service and residents benefit from secure underground parking. 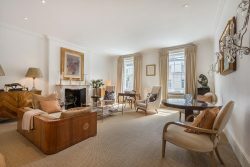 Hans Place is a garden square dating back to the 1770s when the architect Henry Holland financed his own house by sub-letting plots on 89 acres that he leased from the Earl Cadogan. The communal gardens are Grade II-Listed. Residents have the right to access the gardens. This beautifully refurbished flat has two en-suite bedrooms and a sleek, eat-in kitchen. John Thurloe was Oliver Cromwell’s spymaster and Thurloe Place is built on land that he once owned. The development started in the 1840s, with the houses being built out of red brick, with stucco frontages at street level. 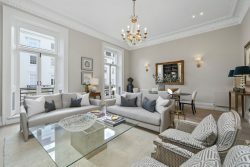 This one-bedroom flat is on the first floor of an elegant building just across the road from the Victoria and Albert Museum. It has panelling, large windows, a period fireplace and a balcony in the reception room, plus a study on the first-floor half landing. Lower Sloane Street runs south from Sloane Square and is lined with red brick mansions in the style known as Pont Street Dutch. Most of these have now been turned into flats and this two-bedroom is found on the second and third floors via a grand staircase. It has a large, open-plan living space. The area is known for its fashionable shops and classy restaurants. Cheyne Walk was originally a riverfront thoroughfare, but the Thames was restricted by the construction of the Chelsea Embankment in 1874. The street now lies further back from the waterside, with the Chelsea Embankment Gardens and Albert Bridge Gardens to the front. A long list of former residents includes George Eliot, Laurence Olivier, David Lloyd George, Mick Jagger, John Paul Getty II and Elizabeth Taylor. This three-bedroom apartment has a large, bright reception room and is available to let. Chester Row is an attractive street of mainly stucco-fronted town houses, interspersed with lower mews-type cottages. It leads away from Chester Square, towards Sloane Square. 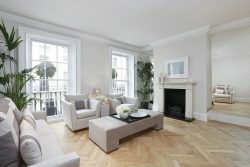 This elegant family home is available to let furnished or unfurnished. It has five bedrooms and a garden. The spacious and light drawing room has a balcony overlooking the front of the house and a conservatory at the rear.